"Fishing for a nice drink? Then look no further than the fish flask to provide you with all the refreshment you need on your travels. 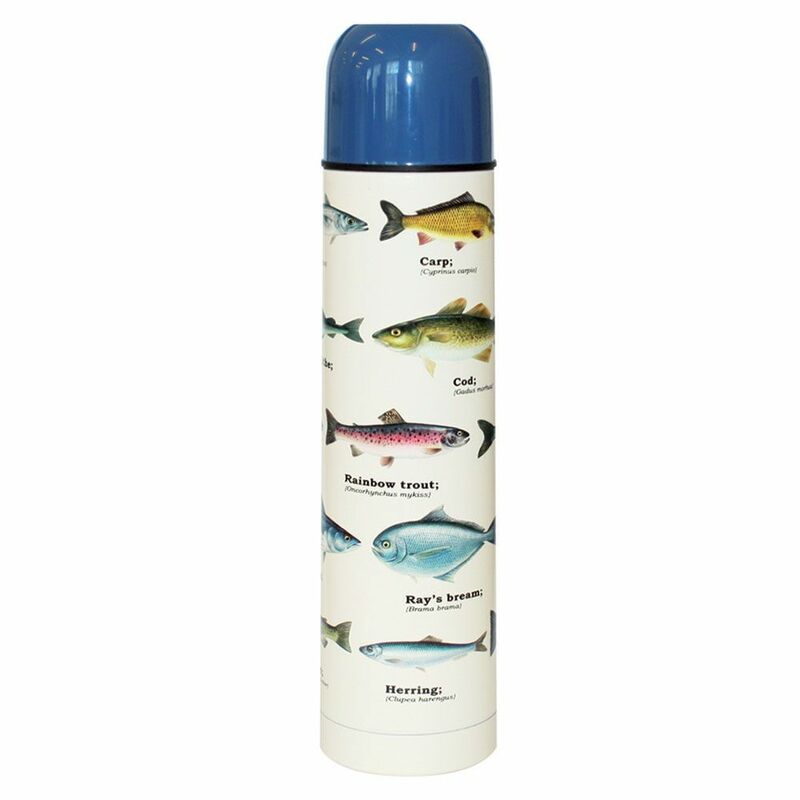 Perfect for that fishing trip or even jaunts to the coast, this fish push button valve flask will keep your warm drink warm, or cold drink cool. Plus the design features various species of fish from the Scandanavian Fishing Year Book, just in case the user's angling skills and powers of observation aren't very good. Know someone who loves angling? Apparently angling is Britain's favourite past time - who'd believe it in this climate?! This flask would make the perfect gift for that mad fisherman who likes nothing better than to get up early in the morning, don wet weather clobber, and prepare the fishing gear. Ideal to keep hot liquid refreshment warm whilst waiting for the fish to bite.